The most common type of hack attack seen these days, however, involves SQL injection. Attackers including hacktivists favor SQL injection attacks because they allow attackers to “inject” their own commands into databases. When databases aren’t configured to properly screen inputs for signs of attack, attackers have an easy-to-use, remote technique for obtaining any information stored by the database. The specially crafted user data tricks the application into executing unintended commands or changing data. 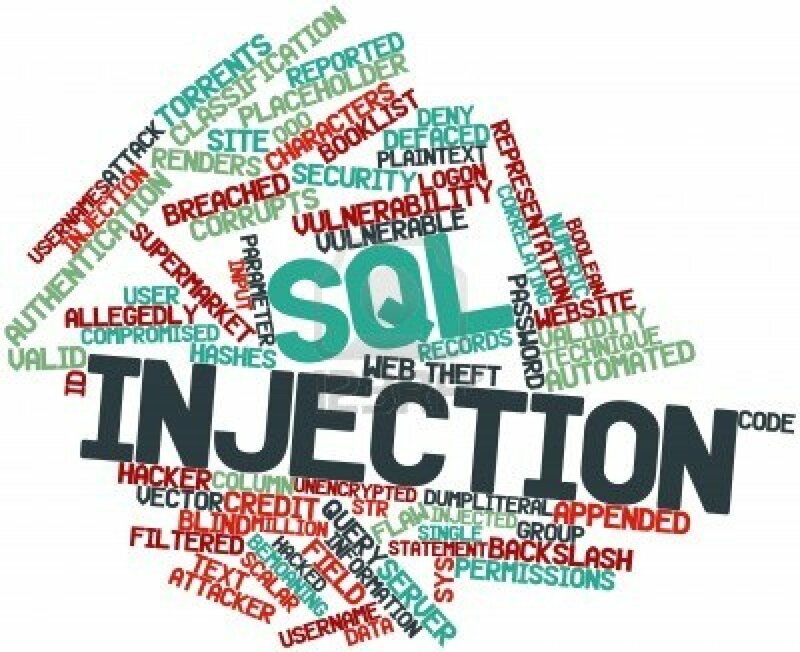 SQL Injection allows an attacker to create, read, update, alter, or delete data stored in the back-end database. In its most common form, a SQL Injection attack gives access to sensitive information such as social security numbers, credit card number or other financial data. A SQL Injection attack is a form of attack that comes from user input that has not been checked to see that it is valid. The objective is to fool the database system into running malicious code that will reveal sensitive information or otherwise compromise the server. SQL Manipulation: manipulation is process of modifying the SQL statements by using various operations such as UNION .Another way for implementing SQL Injection using SQL Manipulation method is by changing the where clause of the SQL statement to get different results. Code Injection: Code injection is process of inserting new SQL statements or database commands into the vulnerable SQL statement. One of the code injection attacks is to append a SQL Server EXECUTE command to the vulnerable SQL statement. This type of attack is only possible when multiple SQL statements per database request are supported. Function Call Injection: Function call injection is process of inserting various database function calls into a vulnerable SQL statement. These function calls could be making operating system calls or manipulate data in the database. An attacker uses SQL injection to manipulate a site’s Web-based interfaces and force the database to execute undesirable SQL code, enabling data manipulation and spreading malware. Organizations must not only build defenses and practice secure coding best practices, but also develop an in-depth understanding of how SQL injection attacks work and how the threat has evolved — the earlier SQL injection attacks didn’t have the vulnerability detection capabilities of contemporary attacks — as well as learn how to find, isolate and address webpages infected with malware on a website. The good news is that there actually is a lot that web site owners can do to defend against SQL injection attacks. Although there is no such thing as a 100 percent guarantee in network security, formidable obstacles can be placed in the path of SQL injection attempts. Web sites must filter all user input. Ideally, user data should be filtered for context. For example, e-mail addresses should be filtered to allow only the characters allowed in an e-mail address, phone numbers should be filtered to allow only the characters allowed in a phone number, and so on. 2. Use a web application firewall. A popular example is the free, open source module ModSecurity which is available for Apache, Microsoft IIS, and nginx web servers. ModSecurity provides a sophisticated and ever-evolving set of rules to filter potentially dangerous web requests. Its SQL injection defenses can catch most attempts to sneak SQL through web channels. 3. Limit database privileges by context. Create multiple database user accounts with the minimum levels of privilege for their usage environment. For example, the code behind a login page should query the database using an account limited only to the relevant credentials table. This way, a breach through this channel cannot be leveraged to compromise the entire database. 4. Avoid constructing SQL queries with user input. Even data sanitation routines can be flawed. Ideally, using SQL variable binding with prepared statements or stored procedures is much safer than constructing full queries. Any one of these defenses significantly reduces the chances of a successful SQL injection attack. Implementing all four is a best practice that will provide an extremely high degree of protection. Despite its widespread use, your web site does not have to be SQL injection’s next victim.